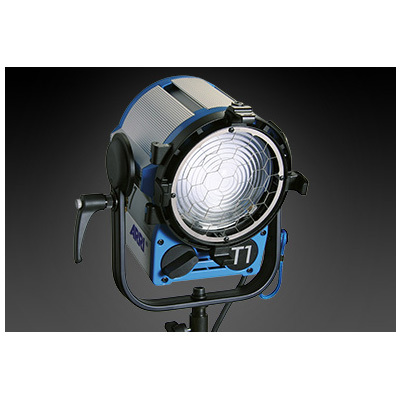 The ARRI Fresnel series is ideal for use where compact, light weight tungsten Fresnel spotlights are required. Following extensive research and feedback from lighting professionals around the world, combined with advances in technology, ARRI has designed a series of six highly innovative lampheads with over 30 new improvements for studio and location lighting. ARRI Fresnels are available in both manual and pole-operated versions. Product Weight: 6,0 kg / 13.2 lbs. Shipping Weight: 7,0 kg / 15.4 lbs. Product Size (HxWxL): 357 x 323 x 216 mm / 14.1" x 12.7" x 8.5"
Shipping Size (HxWxL): 330 x 395 x 390 mm / 13" x 15.6" x 15.4"
Lens Diameter: 150 mm / 5.91"
Barndoor Size: 197 mm / 7.76"